Barbara has worked in housing for more than 15 years. In January 2012 she became Chief Executive of Westward Housing Group which manages 7,000 properties across the south west. Prior to this she worked for The Guinness Partnership and before that, Sovereign Housing. She began her career as a communications specialist and has held positions in the commercial, public and charitable sectors. She is passionate about delivering great services to customers and making organisations highly efficient and professional, whilst still focusing on people. She has an MA in business management. David Bird is the Regional Director for Santander Business Banking in the South West. He has over 30 years of experience in banking in many varied roles, including spells at Clydesdale Bank and Barclays. David built two banking businesses from scratch to full blown regional profit centres. He has delivered major projects with multi-million pound budgets through leading large teams in the banking industry. As well as bringing his clear thinking, result driven skills to the LEP Board, David has strong links to social enterprise and acts as a mentor for a local Deputy Head teacher, as well as supporting the Exeter University Graduate programme. He is a former school governor and youth rugby coach. David values collaboration and partnership as factors for success, and brings these values to the LEP Board which aims to develop its partnerships. David is involved in a number of charities, roles in the education sector, and community projects. He is a trustee of The Exeter Foundation, the charity of the Exeter Chiefs supporting the local community. He enjoys family life, rugby, coaching, and reading. Councillor David Hall is the County Councillor for the electoral division of Bridgwater East and Bawdrip. He is the Deputy Leader of Somerset County Council. David trained and worked as an accountant in both the manufacturing and retail business sectors. His career evolved within the software industry where he first worked as a business systems project manager, before moving on to business development and commercial relationships management. He now runs his own consultancy business and is a partner in a local property company. Councillor Hall’s current portfolio includes: Cabinet Member, Business Inward Investment and Policy at Somerset County Council, with service responsibilities for Corporate Policy, the Business and Economy Group, New Nuclear Development, Road Safety, the Heritage Service, Scientific Services, Regulation, the Registration Service, Libraries and Minerals and Waste. David was appointed a director of the Heart of the South West Local Enterprise Partnership in March 2018. He has been a Torbay Councillor since 2007, always representing the Ward of Blatchcombe in West Paignton. David was elected Leader of the Conservative Group in 2014, after previously serving under the elected Mayoral model as Deputy Mayor for the previous three and a half years. David has a huge interest in spatial planning and worked as chairman of the planning committee for four years with a further four years spent as portfolio holder for Planning, Housing, Waste and Energy. Prior to being elected onto the Council; David was self-employed. He has a gained a large experience in the world of business particularly in the Hospitality, Print and Catering Industries. He still owns and operates two small local businesses in Paignton. He is delighted he has been able to transfer his business skills acquired through thirty plus years of being at the coal-face into the public sector. 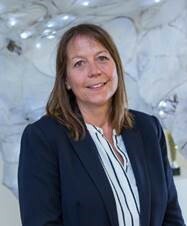 Diane is Principal and CEO of Petroc College of Further and Higher Education; based in Northern and Mid Devon, the College delivers education, skills and training across the South West and beyond. Diane joined Petroc in 2011 as a senior leader and was appointed Principal and CEO in 2015. Diane has worked in the education and skills sector for over 20 years in both academic and management roles and is a Fellow of the Institute of Chartered Accountants (ICAEW). Prior to her appointment at Petroc, Diane worked in the private sector, where she started her career with Deloitte, progressing to hold senior finance roles within the engineering and service industries. Diane is a school Governor and is passionate about the importance of education, skills and training in developing individuals, whatever their background, to achieve their potential. Also a qualified Mathematics teacher, Diane has lectured on a wide range of professional and higher level programmes and is experienced in supporting and inspiring learners. Her goal is to ensure that individuals and businesses alike achieve their ambitions and, in turn, enhance the economic prosperity of the region. Diane’s dedication and enthusiasm for Further Education drives everything that she does and she is a champion for the FE sector, actively promoting the benefits of lifelong learning. Fiona McMillan’s career background is in Education and Training. She was Principal of Bridgwater College for 18 years, during which time she led the College through Incorporation, merger with a neighbouring land-based college and considerable growth. The College was graded outstanding by Ofsted in 2003, and continued to enjoy that status through out the rest of her tenure as Principal. In 2003 Fiona was awarded an OBE for services to Further Education. Following her retirement, Fiona was invited to join the Board of EDF Energy’s Nuclear New Build GenCo, and she has served on the Board as a Non Executive Director since then. Her particular focus on the NNB Board is on skills and training, and people development, as well as on stakeholder engagement. Since 2016 Fiona has been chairing the Somerset County Council’s Employment and Skills Steering Group, and is also now chairing the West Somerset Social Mobility Opportunities Area Partnership Board. Harvey Siggs is the Leader of Mendip District Council, and has served on the council in a number of roles. He is the Vice Chair of the South West Councils and Chair of the South West Employers’ Panel. Harvey is also a Member of the Committee of Regions. Harvey lives in Wells, Somerset. He is a motorcyclist and classic car enthusiast. Harvey Siggs is the LEP’s Board member representing District Councils in Somerset. Helen Lacey is the LEP’s designated SME representative on the Board. Helen has a 2:1 Hons Degree in Psychology and Business Management and 18 years recruitment experience. Having held positions such as Training Manager, Corporate Account Manager, Branch Manager and Business Development Manager, Helen set Red Berry Recruitment Ltd up in 2007 to offer clients and candidates superlative Customer Service when using Recruitment consultancies. Red Berry Recruitment supply Temporary, Permanent and contract staff to the Blue Collar sectors, Finance, HR, Administration , Sales and Creative and with offices is Bridgwater, Yeovil and Shepton Mallet they cover all of Somerset and tip into Devon, Wiltshire and Dorset depending on the branch Location. Since 2007 Red Berry Recruitment and Helen have won dozens of awards, including Employer of the Year, Business of the Year, Entrepreneur of the Year and Young Director of the year. In Helen’s spare time, she loves the gym and keeping fit, enjoying the odd shopping spree and travel. Helen is also on the People group of the LEP, Chair for the Somerset IOD, Vice Chair for the Somerset Chamber of Commerce and a Non Exec for I2A, a subsidiary company of Yarlington Homes. Professor Judith Petts was appointed the University of Plymouth’s Vice-Chancellor and Chief Executive in February 2016. She joined Plymouth from the University of Southampton where she had been Pro-Vice-Chancellor Research and Enterprise and previously the inaugural Dean of the Faculty of Social and Human Sciences (2010-13). Prior to this she had spent 12 years at the University of Birmingham as a Head of School and finally as Pro-Vice-Chancellor Research and Knowledge Transfer (2007-10). Over some 30 years, her research has particularly examined the interface between science and policy-making, and the effective use of evidence in decision-making. Currently she is a member of the Council of BBSRC and of NERC’s Innovation Board. Previous appointments include as a member of the Science Advisory Council of Defra (2011-16); Royal Commission on Environmental of Pollution (2006-11), the Council of NERC (2000-6), of EPSRC’s Societal Issues Panel and Strategic Advisory Network, the Royal Society’s Science in Society Consultative Committee, and the Advisory Board of Veolia Environmental Services. She was appointed Commander of the Order of the British Empire in the Queen’s New Year Honours, 2012, for services to Scientific Research. Karl is the Managing Director of family-owned dairy producer Yeo Valley. Based in the South West Yeo Valley employs 1,750 people across its sites. Karl joined Yeo Valley in 1996 and has held a number of roles including Finance & IT Director and Procurement Director before he took up the Joint MD role in 2013. Prior to joining Yeo Valley Karl worked in the quarrying industry in the South West from 1989 to 1996, and before this he served in the British Army. Karl is a qualified Chartered Management Accountant. In addition to his role at Yeo Valley Karl is a member of the South West CBI council, the Somerset Growth Board and a Trustee of Young Bristol, a youth charity based in Bristol and a Trustee of the Bridgwater Education Trust. Martha Wilkinson is Chief Executive of the Devon Community Foundation, which she joined Devon Community Foundation in 2009 just as the economic crisis was hitting its stride and the Foundation needed a complete restructure and renewed focus. The Foundation distributes grants to local groups and organisations which are tackling disadvantage and deprivation across Devon, Plymouth and Torbay. She relishes the challenge of working with all sectors to bring about positive changes in the lives of the most vulnerable people. Martha started her career in retail with the John Lewis partnership and spent 10 years working in retail, ICT and manufacturing. She then went on to join the Senior Management Team of Business Link Hereford & Worcester, and built upon that experience to start a Social Enterprise in East London which helped major multi nationals in the City of London and Docklands build supply chains with local small businesses in order to create prosperity and jobs in the deprived City Fringe area of London. In 2002 Martha became a self-employed consultant in economic development. Her work included developing strategy, assessing and evaluating the impact of economic development and especially the engagement of local communities in development plans. Martha loves to garden and cook at her home near Wiveliscombe in West Somerset which she shares with her husband and daughter. Melanie Squires comes from a Cornish dairy farming family and has lived in Devon for the last 18 years. She joined the NFU South West team in January 2002 as a policy adviser, promoted to senior in 2003 and then to Regional Director in March 2006. She is a 2:1 honours degree graduate in Agriculture from the Seale-Hayne faculty of Plymouth University (1997-2000) and prior to this obtained a National Certificate in Agriculture from the Duchy College (1992) in Cornwall. She undertook the Worshipful Company of Farmers’ Challenge of Rural Leadership course in November 2005 and subsequently made a liveryman of the Company. A SWRDA rural advisory group member. A Vice-President of Cornwall Federation of Young Farmers in 2006-2009. (West country Dairy Awards) and a SW CBI Council member. In June of 2008 she was awarded an MBE in the Queen’s birthday honours for services to Gloucestershire’s rural community and for animal welfare efforts during the flooding of July 2007. She was also awarded the Associateship of Royal Agricultural Societies (ARAgS) for her distinguished achievement in the agricultural industry in 2015. Prior to joining the NFU, she was assistant agricultural co-ordinator with the Cornwall Agricultural Council for Objective One and has also worked full-time as a dairy herdsperson for several years prior to her time at Seale Hayne. A long held passion for farming and food means she is committed to the furtherance of agriculture in all its diverse facets for a sustainable future, both in terms of output, as well as for its custodians, and the next generation. The NFU is a trade association and her role combines representing a farming membership of circa 10,000 farming businesses across the six counties of the south west with a fantastic regional and field based team of 90 staff, in 43 offices. She therefore manages this private sector business across the region as well as ensuring representation at all levels with lobbying/influencing as an A-political organisation, supporting the governance structures and elected farming officeholders. Paul Diviani was elected Leader of East Devon District Council in 2011; he is also a Devon County Councillor for Honiton St Pauls Division, being elected in 2009. Paul was first elected to East Devon District Council in 1999. Paul has held positions on numerous groups and committees of East Devon District Council. He is Chairman of the Blackdown Hills AONB and SDF Panel; Chairman of the ‘Making it Local’ RDPE Local Action Group; a member of Exeter and East Devon Point Board and of the LGA Rural Commission and Policy Review Team and Director of DR (formerly Devon Renaissance). Paul has been involved in many business, catering and tourism related organisations and enterprises, including several years as a highly successful innkeeper. Paul Diviani is the LEP’s Board member representing District Councils in Devon. Richard Stevens is the current chair of the Devon & Plymouth Chamber of Commerce; a role Richard is delighted and honoured to perform. Richard has embraced the role and enthusiastically committed his time and energy to promote the Chamber. Engaging with Stakeholders, Richard is the Chair of the Business Leadership Group for the HotSW LEP, Deputy Chair of the LEP Strategic Investment Panel and Deputy Chair of the Local Transport Board. Richard’s career is in public transport, Richard was appointed as Managing Director of Plymouth Citybus in May 2012. With a turnover in excess of 27 million pounds, Citybus serves over 17 million passengers a year and is the biggest public transport provider in Plymouth and East Cornwall, employing 550 people and running a fleet of 185 buses to all corners of the city. Richard has more than twenty years’ senior management experience of working in the bus industry in the South West of the UK. Previously Richard served as an Operations & Commercial Director for Stagecoach South West and was Operations Director for First Devon and Cornwall; prior to that he held a number of managerial roles, having begun his transport career in 1990 as a bus driver. Richard is particularly proud of Plymouth Citybus attainment of ‘Gold’ Investors in People Accreditation; Richard is passionate about people, he ensures his team live in an empowered responsibility focused culture, where people are treated with unconditional positive regard. Richard believes that Citybus has a duty to be a good community partner and encourages all employees to do their bit, the staff at Citybus assist many voluntary and charitable organisations across the city. Richard is the current Joint Chair of the Plymouth Area Business Council, Chair of the Plymouth Growth Board, Chair of the Marine Tech Expo; Richard sits on the Devonport Task Force, One Plymouth, the Mayflower 400 Leadership group and the Peninsular Rail Task Force board and Chair of the PRTF Stakeholder Group. Richard is also a Director of Destination Plymouth; the destination management company; he is committed to working with all strategic partners, to ensure that the voice of business in Plymouth and the region is strong, unified and playing to its collective strengths. Richard was awarded an Honorary Degree as a Master Business Administrator (MBA) by Marjon University in October 2018. In his spare time; Richard is Chair of Governors for All Saints Academy, Secondary School. Having relocated his family to Plymouth, Richard is a member of Saltash sailing club, enabling him to indulge in his other passion; sailing. I am elected as a County Councillor for the electoral division of Salcombe. I intend to serve the interests of all residents, regardless of political persuasion. I became a Councillor out of a sense of duty and in the belief I have something to offer. I wholly believe in Public Service for the benefit of all. My priorities are to serve my community wherever possible to the best of my ability. During the 1970’s I spent my working life setting up oil exploration contracts globally, before coming to live in the South Hams in 1983. Since 1983 my wife and I have started and run various tourist related businesses, one of which we still own. I am still active within the local business community, alongside maintaining and letting various properties we own locally. Steve is Chair of the Heart of the South West Local Enterprise Partnership. Steve has over 40 years’ experience in the construction industry at both project and company board level. He is former Chair of the CBI Construction Council and the South West CBI Council. In addition, Steve is a trustee and chairman for the Devon Community Foundation; a trustee of Children’s Hospice South West and was formally on the board of governors at the City of Bristol College. He was awarded the CBE in the 2006 New Year Honours List for services to the Construction Industry; appointed Deputy Lieutenant of Devon in 2009 and had an Honorary Doctorate of Engineering conferred upon him by Exeter University in 2011. Professor Sir Steve Smith has been Vice-Chancellor and Chief Executive of the University of Exeter since October 2002. Previously he was Senior Pro Vice-Chancellor (Academic Affairs) and Head of the Department of International Politics at the University of Wales, Aberystwyth, and Director of the Centre for Public Choice Studies at the University of East Anglia. Sir Steve is currently Chair of the UCAS Board Board member of the Russell Group; Member of the Times Higher Education (THE) Editorial Board; Board member of the Heart of the South West Local Enterprise Partnership; a Trustee of the Education and Employers Task Force, and of the Eden Project. He was President of Universities UK (UUK) – the representative body for the executive heads of UK universities – from 2009-2011, and remains a member of its International Policy Network. Stuart is Chief Executive of Applegate, a leading eProcurement marketplace headquartered in Barnstaple and Plymouth. Applegate works with governments and businesses across the world, is a Strategic Partner to the US Department of Commerce International Trade Administration and a Knowledge Partner of the Chartered Institute of Procurement and Supply. He started his career in banking, serving as Head of E-Commerce Strategy at Barclays and later as Senior Vice President and Head of Digital Commerce at Visa International CEMEA. Under contract from the US Treasury he established the initial national payments infrastructure in Iraq following the 2003 war. In 2010, Stuart moved to Madrid to support the Initial Public Offering of Amadeus IT Group. Following the successful conclusion of the flotation, he was appointed Group Communications Director. Stuart has served as a non-executive director on the boards of several companies, mainly in the technology sector, and as chairman of a venture capital trust. He has provided pro bono support to several charities including the Charities Aid Foundation West Africa, the Diocese of Exeter and Pilton House Trust and is a Governor of Petroc College. Tudor is the Leader of Plymouth City Council and in his 31st year of continuous service to the Ham ward as a Labour & Co-operative Councillor. He has been the Leader of the Plymouth Labour Group since May 1998. Tudor was born in Ebbw Vale, South Wales and is an Environmental Science graduate having arrived in the city in 1977 to read environmental science at Plymouth Polytechnic – now Plymouth University. He was a director of a co-operative printing company for 11 years and is currently working as a local government consultant. His partner Jane works for First Group in London and Plymouth and he has two step-daughters, and is Bampy to Issac. Tudor was awarded the Oder of the British Empire for political service and services to local government in the New Year’s Honours list in 2016. He is a member of the GMB trade union and the Co-operative Party. Tudor is a member of the One Plymouth Group of City leaders and the Devonport Task Group. He is a Director of Plymouth Science Park Ltd also serving on the Plymouth Growth Board, Destination Plymouth Board and City Council Investment Board. He represents Plymouth city Council on the Heart of the South West Community Interest Company, the Plymouth Investment Partnership and South West Councils. Tudor is a member of the Local Government Association’s Councillors Forum and Innovation and Improvement Board. Tudor has previously served as the LGA’s Regional Lead Peer and has worked with a number of Councils on peer reviews. He is also a mentor to other Local Authority Leaders. David Ralph started as Chief Executive of Heart of South West LEP at the beginning of June 2018. Previously, he had spent 5 years as CEO of the Derby, Derbyshire, Nottingham, Nottinghamshire (D2N2) LEP from 2013 where he oversaw the development of the D2N2 Strategic Economic Plan and sector strategies, 3 Growth Deals with HM Government to deliver a £1mbillion capital investment programme, securing and implementing £200m ESIF programme, the Derby and Nottingham Enterprise Zone, the D2N2 Skills Deal and Time for Innovation programme, community fund and led the executive team to develop the HS” East Midlands hub. He was also closely involved in the proposed North Midlands Devolution Deal and one of the key architects in establishing the Midlands Engine, chairing the officer steering group. Whilst in this role David was a NED of the Nottingham Enterprise Zone, and Marketing NG, the Outer Estates Foundation and a Governor of Nottingham College and on the advisory Board of Nottingham Business School. Before the East Midlands, David was CEO of the Have Gateway Partnership working closely with local stakeholders including the ports of Felixstowe, Harwich and Ipswich and BT Adadastral Park across Suffolk and Essex and prior to that was Chief Exec of the Barton Hill New Deal for Communities programme in Bristol and the Nelm Development Trust in Norwich. David is a keen sailor, walker and trail runner.